Romans “13” In Context One of the great pacifist passages. And it helps to read it in the context presented in the first article. Christians are called to be the light of the world, not the sword of the LORD. And most Christians miss that point because, unlike above, they have no idea that Romans “13″ is related to Romans “12″ The spirit of the times in which Paul wrote a letter, not chapters, can be an eye opener. David: ‘“My son, I had it in my heart to build a house to the name of the Lord my God. 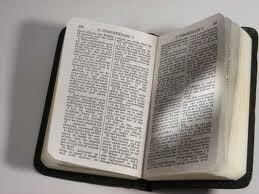 But the word of the Lord came to me, saying, ‘You have shed much blood and have waged great wars. You shall not build a house to my name, because you have shed so much blood before me on the earth.’ (1 Chronicles 22). “Do you [ye, i.e. plural, the congregation of believers] not know that you [pl.] are the temple [naos] of God…? (1 Cor. 3:16). “…you are God’s building” (1 Cor. 3:9). “…you also, as living stones, are being built into a spiritual house” (1 Peter 2:5). Another good resource: Plowcreek Mennonite Church Resource page and outline of Scripture. Ch. 3 Choices Made in OT Battles; Exodus: Miracles to Sword; David, holiness, Temple, shedding blood; Elijah and Elisha: sparing enemies. Ch. 5 Mission: Unto the Least; The fruit of the Spirit.